Note: We received items from Oriental Trading to facilitate our post. We were not compensated monetarily for this post. All opinions are honest and my own. We love Oriental Trading. It’s my go-to for party favors and decor when the kids’ birthdays roll around, but it’s also great for class parties, too. I love how affordable their items are, which makes it easy to purchase in bulk for 22 kids in a class. 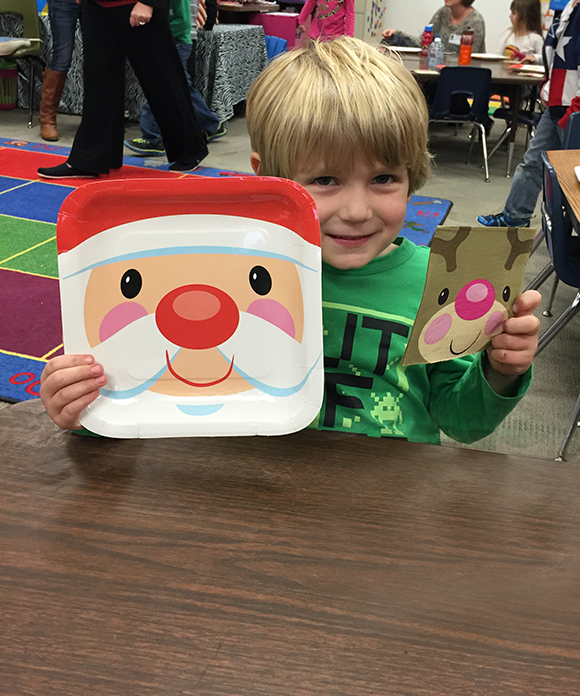 This year I’m room mom for both my boys’ classes, and coordinating their Christmas parties was a part of my duties. I sent out notes to all the parents for contributing snacks and drinks, but all I had to do to cover the crafts, plates, and napkins was make a quick visit to OrientalTrading.com. The hardest part was deciding between all the craft options – they have a ton! 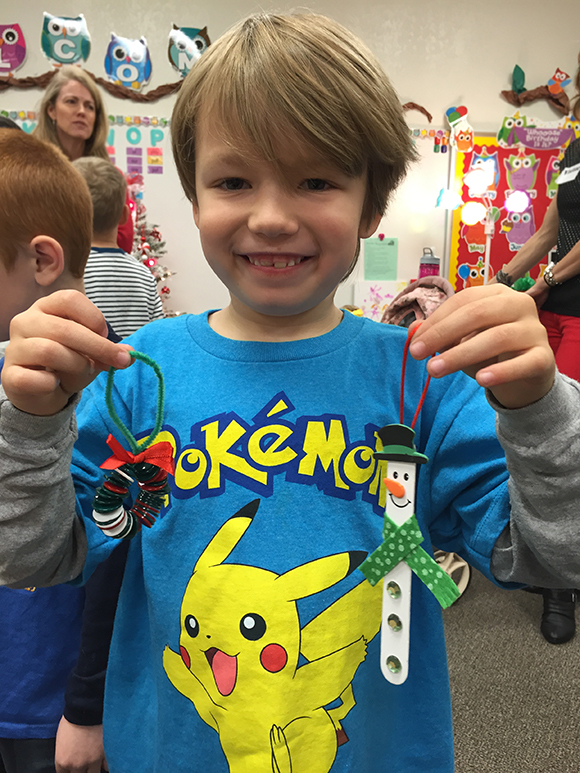 I ended up choosing a snowman craft and a button wreath craft. The kids loved it, and I heard parents complimenting them, too. One tip: a lot of crafts require glue, which can be messy and take time to dry. I went to the local craft store and purchased a roll of glue dots, which made it really quick and easy to complete the projects. Aren’t they so cute? We have ours hanging on our tree! For the plates and napkins, I went classic with Santa & Rudolph; can’t really go wrong with that! They made for a cheery & festive atmosphere at the party. No matter what kind of party you’re planning for, Oriental Trading provides a wide variety of options to choose from. It makes purchasing party supplies an affordable and easy experience! For the next class parties I’ll be making a visit to Oriental Trading again, for sure. Note: This post is sponsored by Lunchbox. All opinions are my own. I have to confess – my dogs have horrible oral hygeine. They never remember to brush their teeth, and friends, I don’t think I’ve ever once seen them floss. Sigh. So lazy. 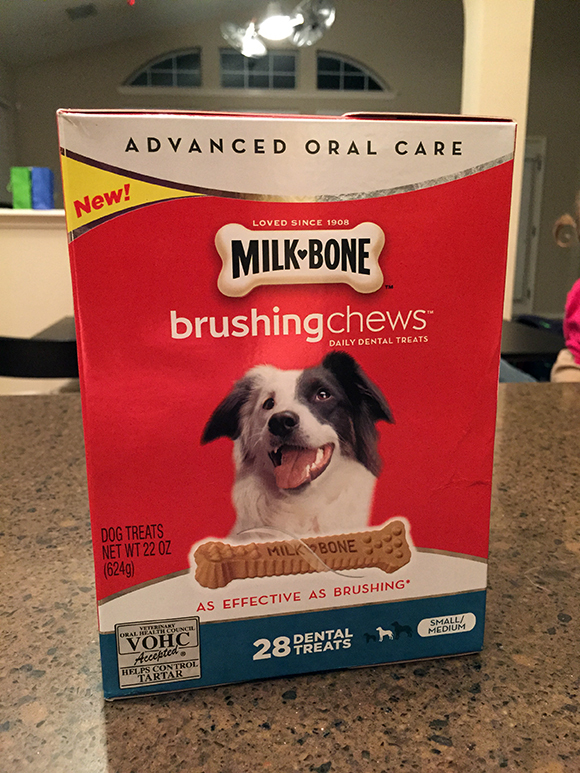 Thankfully now we can trick them into brushing their teeth with new Milk-Bone Brushing Chews. 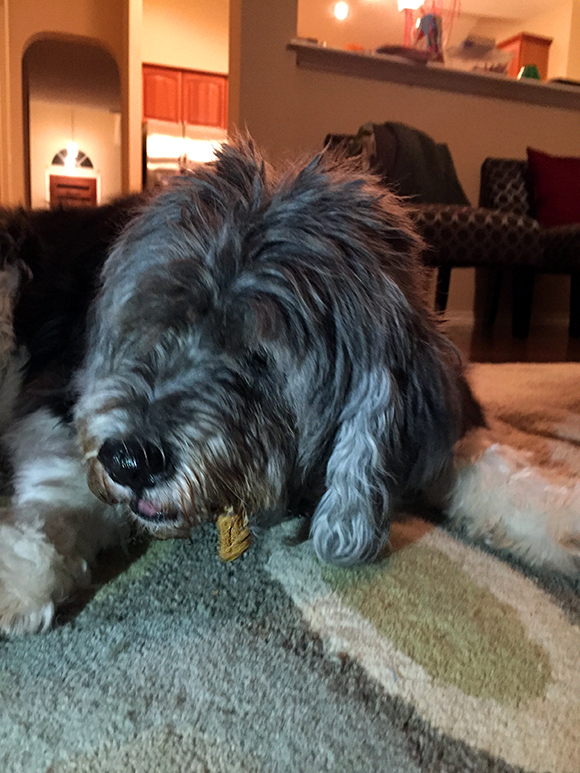 We went out of town for the holidays and took one of our dogs (the smaller of the two, Ninja) with us to visit family, but we brought our Milk-Bone Brushing Chews with us so Ninja could have something to enjoy while we were munching on Christmas cookies. 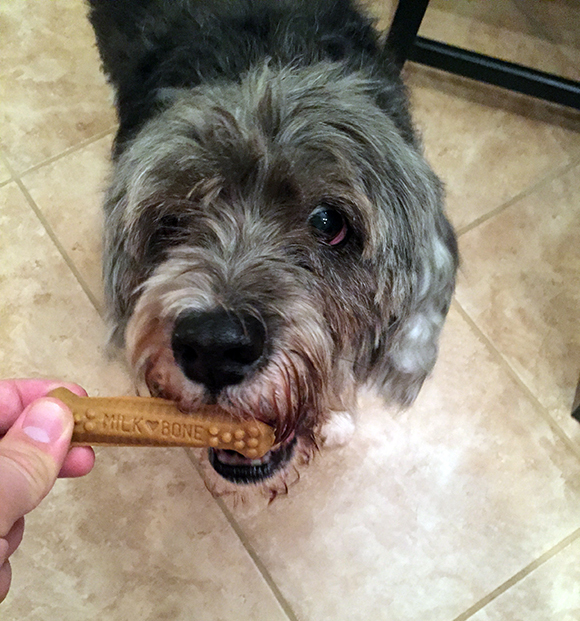 My sister-in-law & brother-in-law brought their dog, Booker, so we figured Booker ought to get a treat, too! The great thing about Brushing Chews is that they’re a daily treat that you can give your dog to enjoy and to help them clean their teeth! These treats are just as effective as brushing, but they taste like a normal treat so your dog will never know. The nubs and ridges are designed to help clean just like bristles on a toothbrush, and the patented 75-degree twist helps clean down to the gum line, including hard-to-reach back teeth. I think of it as the equivalent to sneaking veggies in my kids’ meals – helping them be healthier without even knowing it! 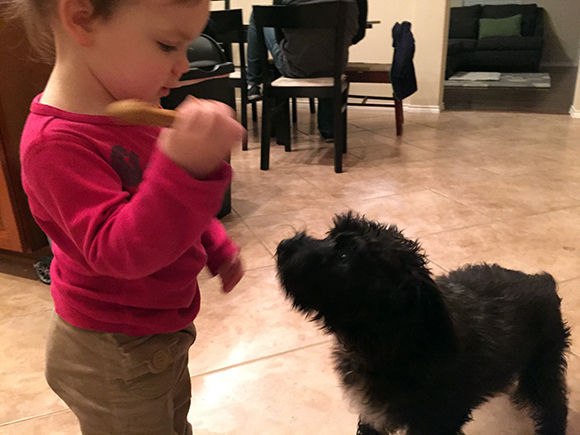 Good oral care will help our dogs live a happy, healthy life. 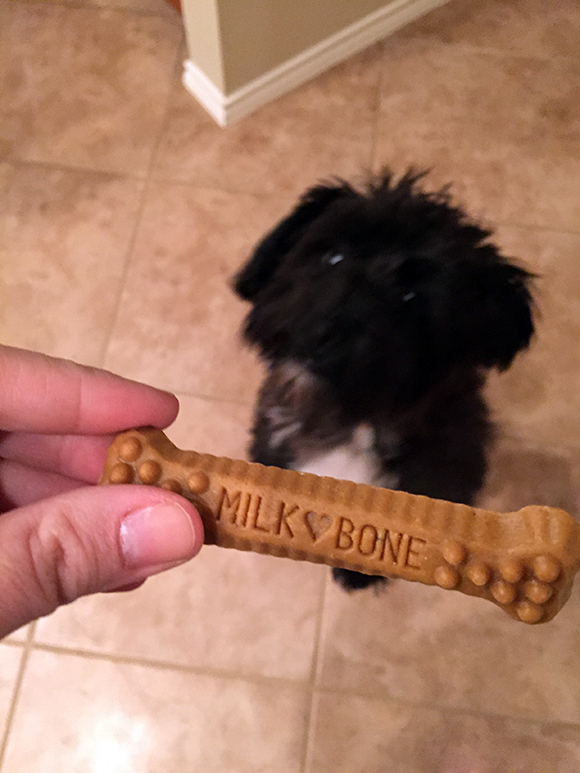 Be sure to check out the video on the Milk-Bone page to find out more about these revolutionary treats. 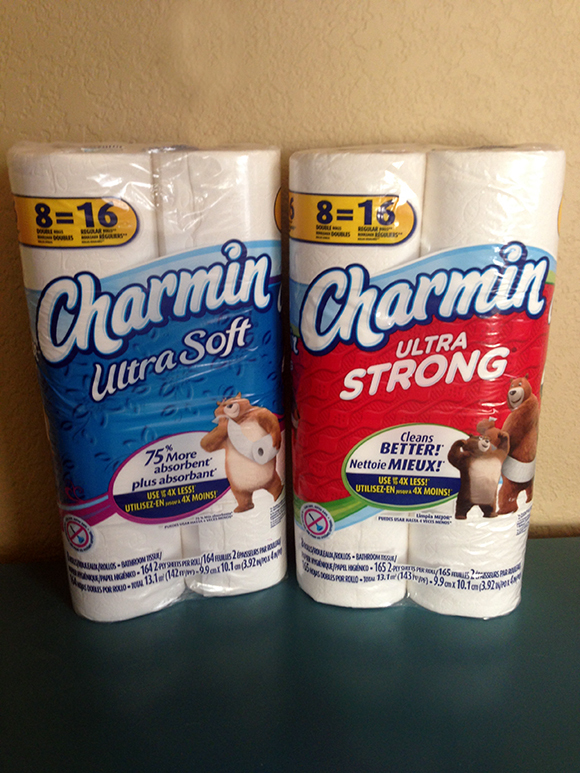 Guess what- you can try these out for your furry family members with a great coupon for $2 off! Just click the image below to get your coupon. Have you ever thought about your dog’s oral heath? 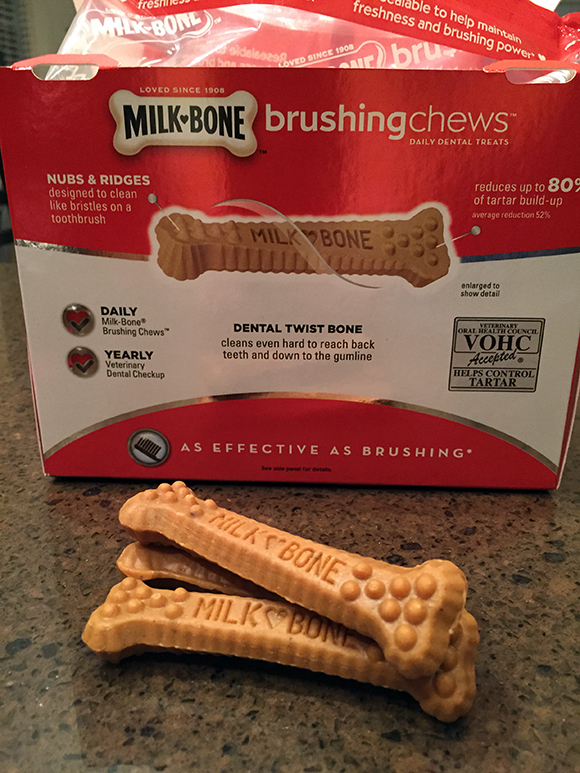 Try the Milk-Bone Brushing Chews today and it’ll be as easy as handing your dog a treat! Note: We received a variety of Hasbro toys to facilitate this post. I was not compensated monetarily for this post. All opinions are honest and are my own. When it comes to stockings, I like to fill them with things I know my kids will play with for a long time. It’s easy to be tempted by all the knick knacks that fill the aisles at Christmastime, but I think we all know those end up breaking or being discarded within a week or two after the holidays. Hasbro has a ton of toys and games; I know we’ve already got many Hasbro items in our house. But did you know they have a lot of stocking stuffer options perfect for your kids? 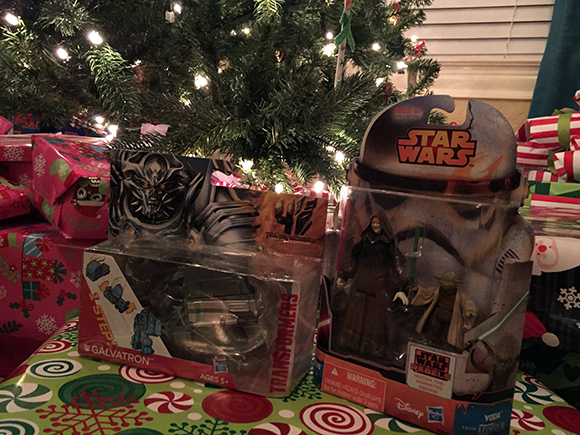 Since the kids don’t read my blog yet (I’m sure one day they totally will) I can share with you some of what they’ll be getting in their stockings. J, our 7-year-old, will be getting a Transformer from the new Age of Extension Transformers movie – it can convert from a great robot action figure into a vehicle in just one step, which is great and frustration-free! These retail for $9.99 each. He’ll also be getting Star Wars Rebels action figures, which he’ll be thrilled about because he loves that show! These also retail for $9.99 each. He’ll love playing with both of these toys for a long time to come! 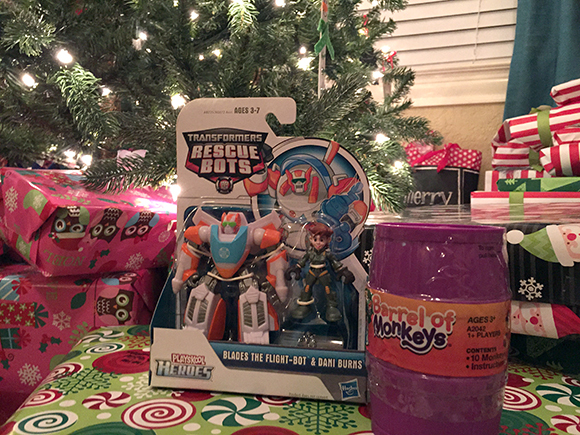 C, our 5-year old, will be getting a Transformers Rescue Bots set – it comes with a robot and a female character from the show. I love the idea of him having a great female action figure to play with! These retail for $6.99. He’ll also be getting the classic game Barrel of Monkeys. I loved playing this growing up, so it’s fun to pass it along for our kids to play too! I can imagine there will be a lot of creative play with the monkeys, too. This game retails for $4.99. 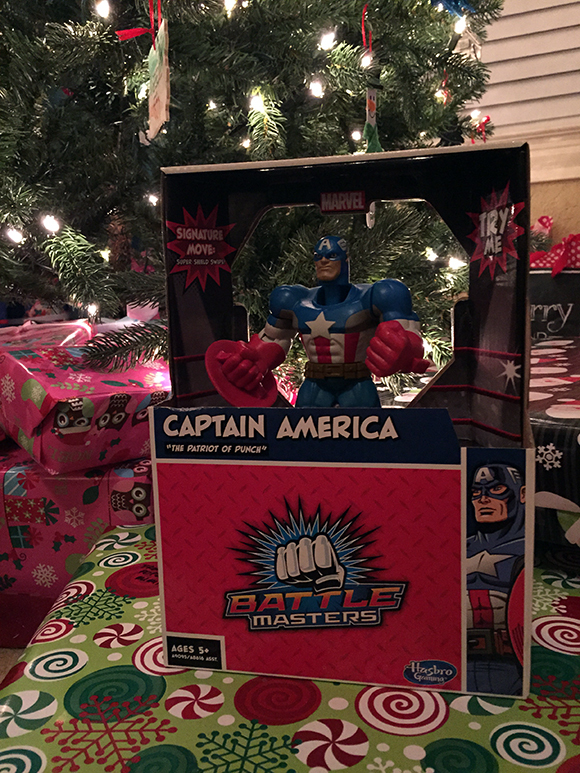 The boys will love playing with this Marvel Battle Masters Challengers toy, too – we got Captain America but there’s also Spider-Man, Wolverine and Thor to pick from. These retail for $14.99 each. The Littlest Pet Shop animals are just $2.99 each and are adorable fun! There are 24 pets to collect. 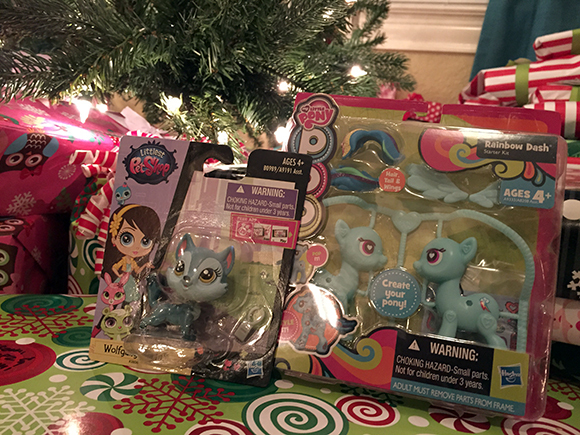 And the My Little Pony POP starter kit lets kids pop out and build any of four My Little Pony Pop characters; they can personalize each pony with pop-on manes and stickers. These retail for just $3.99 each, making them a really affordable choice! Hope these ideas help you with all your last-minute stocking shopping! Happy holidays, everyone! Can you believe it? Christmas Eve is TOMORROW. That’s right, folks – there’s not much time left to get all your shopping done so you can be ready for the big day! We keep thinking we’re finished, but then we’ll think of another item we’ve forgotten. Case in point – we went to dinner tonight and remembered a gift we’d forgotten, and had to run to Walmart (which, by the way, was pure chaos). If you’re not done with your shopping, you’ve really got no choice but to go out and get those last-minute items; it’s too late to shop online and hope it’ll arrive in time! Be sure to go through your recipient list and make a comprehensive list of what all you need so that if you have to get out and do more shopping, at least you can consolidate it as much as possible. And of course, keep an eye out for the best deals – don’t get so anxious to find something that you end up paying more than you need to! Check the (free!) 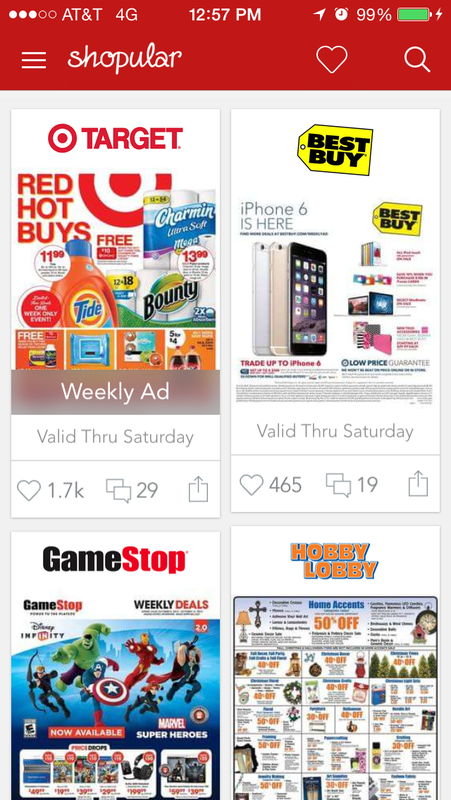 Shopular app to see what deals are available at stores around you before you head out, and you’ll know where to go to find the best price on what you need. Be sure and keep up with Shopular on Facebook, Twitter, Pinterest, and Instagram, too, so you’re in the know about any shopping deals, in the holiday season or year-round! 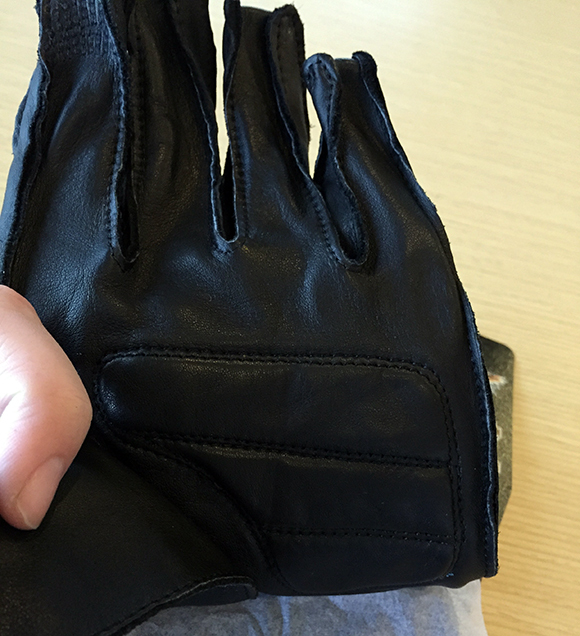 Note: I received a pair of men’s and women’s gloves to facilitate this post. I was not compensated monetarily for this post. All opinions are honest and are my own. My Uncle Mike has always been someone important in my life (fun fact: our middle son’s middle name is partially in honor of Uncle Mike! ); I have many memories of going up to visit my grandparents at the holidays and spending time with him and my Aunt Joan. Several years ago we were in the area they live and got to go visit them, but since they live several states away we don’t get to see them nearly as often as we’d like. 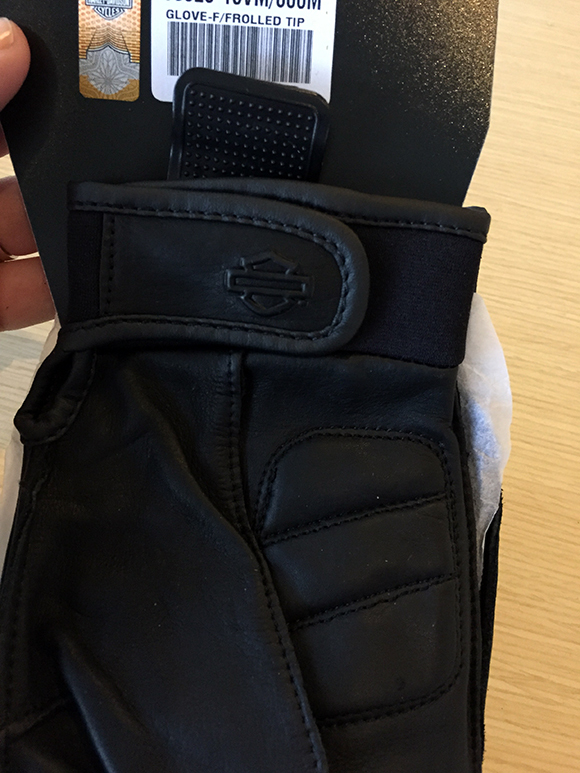 My aunt and uncle love to ride motorcycles, so I was incredibly thrilled to have the chance to send them an extra-special gift this year: beautifully-crafted, high-tech, leather gloves from Harley-Davidson. 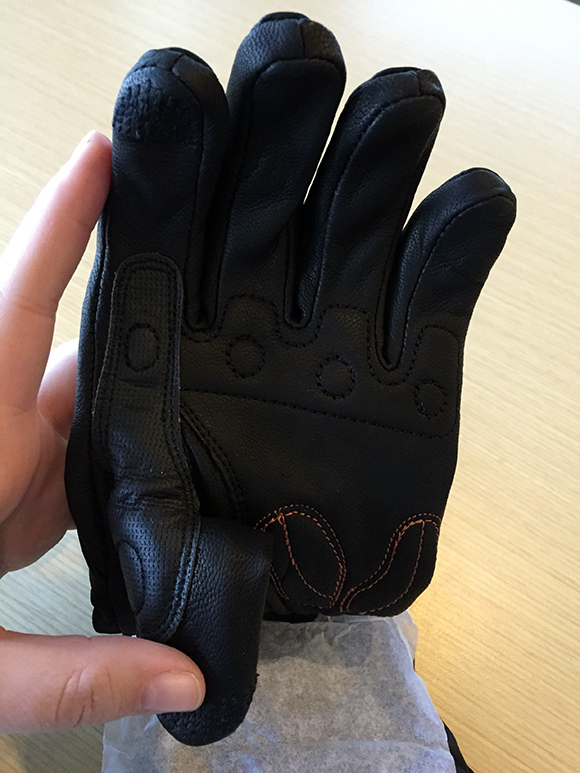 I received the Men’s Valve Full-Finger Gloves, and the Women’s Mystic Dual Chamber Full-Finger Gloves. They’re both incredibly well-made and it’s evident from first glance that a lot of care was put into every detail. And oh, the smell of that leather! 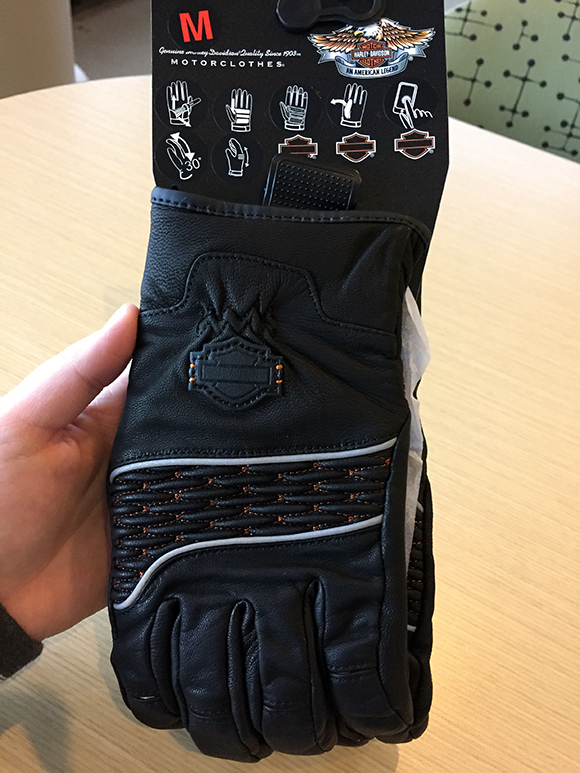 Even though it’s not listed on the Harley-Davidson site, both pairs of these gloves allow you to use your smart phone, with special material sewn into the pointer finger and thumb. So nice and high-tech! 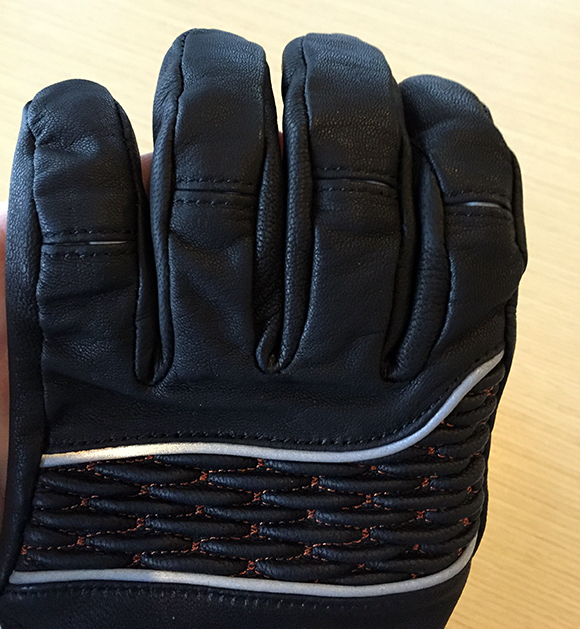 If you’re looking for something special to give a motorcycle-lover in your life, I’d highly recommend these gloves. They’re sure to be a hit! 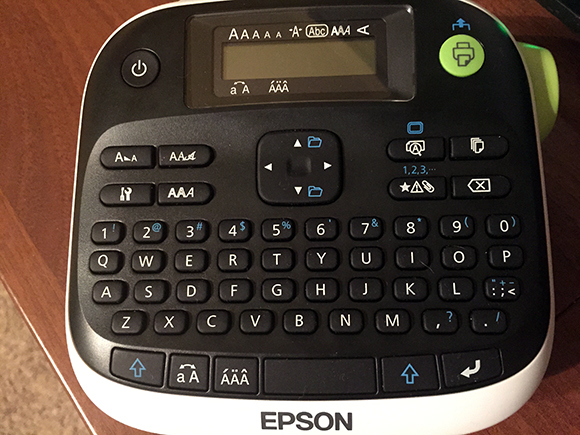 Note: We received the Epson LabelWorks Printable Ribbon Kit to facilitate this review. We were not compensated monetarily for this post. All opinions are honest and are our own. With the holidays rapidly approaching, I’ve wrapped more presents than I can count on two hands. I’m admittedly not the best at wrapping gifts, but I love picking out paper and ribbon to make gifts look special. 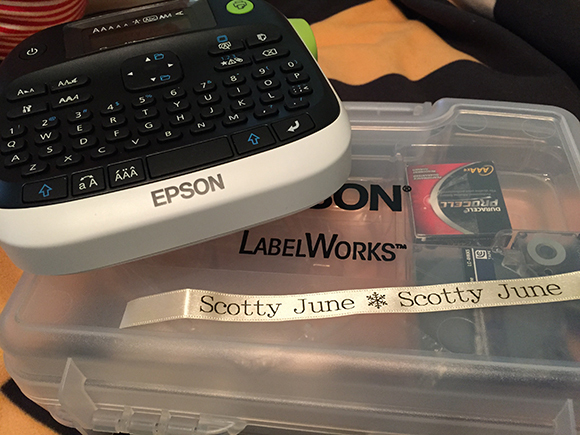 This year I’ve learned about a way to make gifts customized with the Epson LabelWorks Printable Ribbon Kit. You can print personalized satin ribbons for crafts, scrapbooks, decorations, gifts and more. You can have birthday party favors that have their very own name on them. You can even get creative and brighten up your own homemade crafts. You can customize your ribbons using a wide variety of fonts, symbols and frames, and up to 30 of your favorite ribbon designs can be stored and used again. 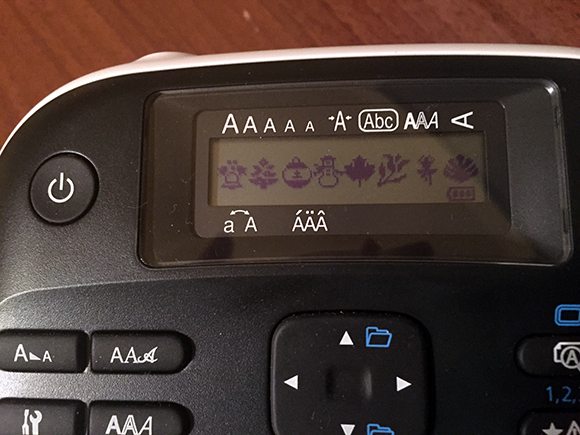 The printer is really easy to use – I have to confess that I didn’t read any of the instructions for loading the ribbon or for creating my first design. There are tons of cute icons for all sorts of occasions, including the various holidays. 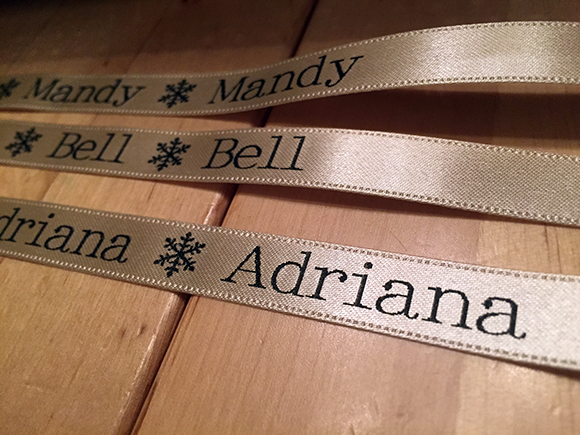 I made a ribbon for each of the boys’ teachers that had their names and snowflakes on it – so cute! I made some ribbons for my mom’s coworkers, too – the quality is really nice and truly adds a perfect finishing touch to gifts. If you’re a crafter, or if you just want to have an easy way to customize gifts, you’ll definitely want to get the Epson LabelWorks Printable Ribbon Kit! Note: We received PEEPS to facilitate this post. We were not compensated monetarily for this post. All opinions are honest and are our own. If you’re on the hunt for perfect stocking stuffers, you might be surprised to learn that Peeps is the perfect solution. 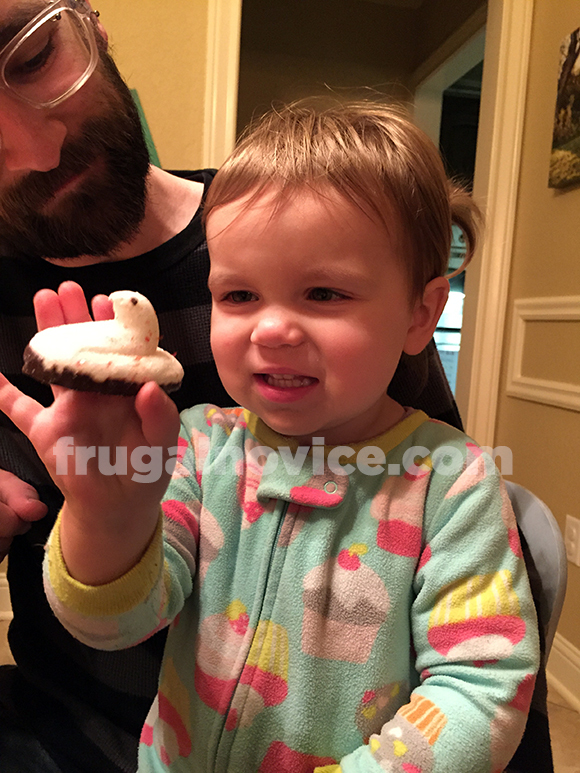 Yes, the classic treat you think of for Easter has all sorts of options for the holidays! From chocolate-flavored reindeer to, yes, gingerbread-flavored gingerbread men to candy cane-flavored classic Peep shapes, there’s something fun for everyone this holiday season. 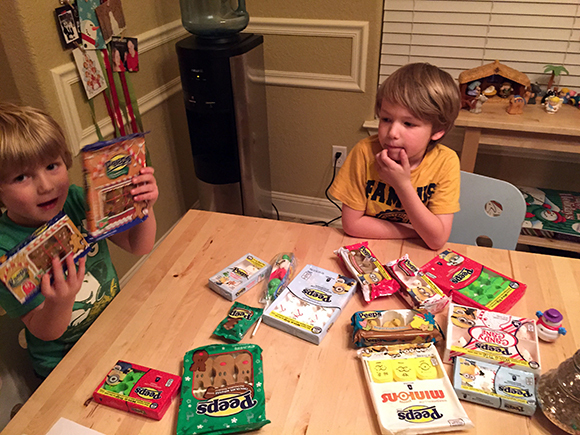 Our kids had a BLAST looking through all the options, and really had a hard time deciding what to try first. 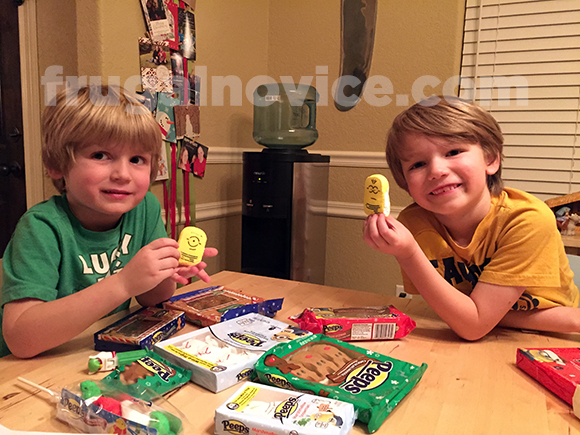 Minions won out – aren’t they adorable? 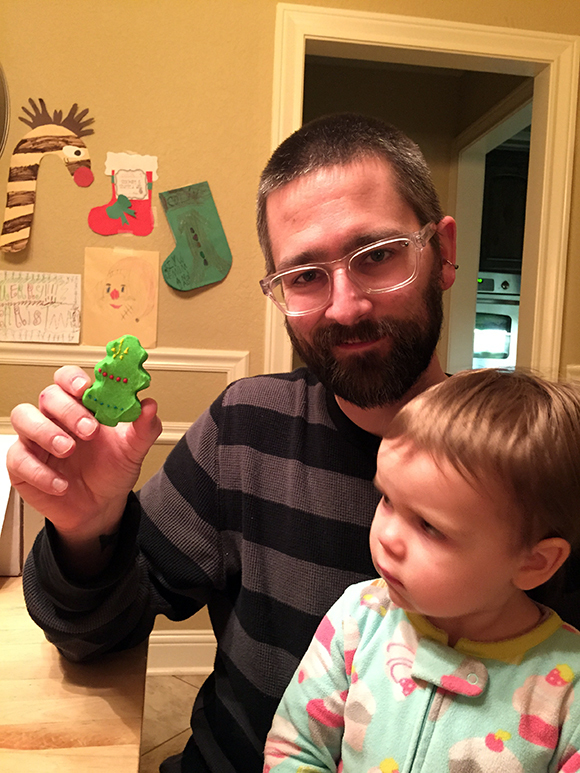 And Brian went with the classic-flavored Christmas tree Peep. SO cute and colorful! Note: I received samples and promotional materials to facilitate this post. I was not compensated monetarily for this post. Olives have always been a mainstay at Thanksgiving and other “big” meals for my family as I grew up, and now Brian, C & E love olives too so they’ll always be included in our holiday traditions. 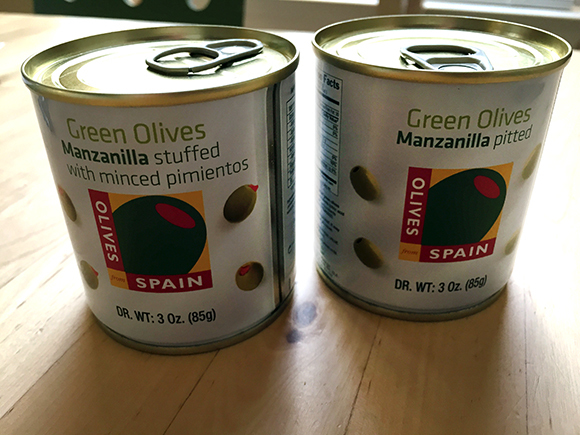 I’ve never really thought about where these olives come from before, but now I know that many olives come from Spain. 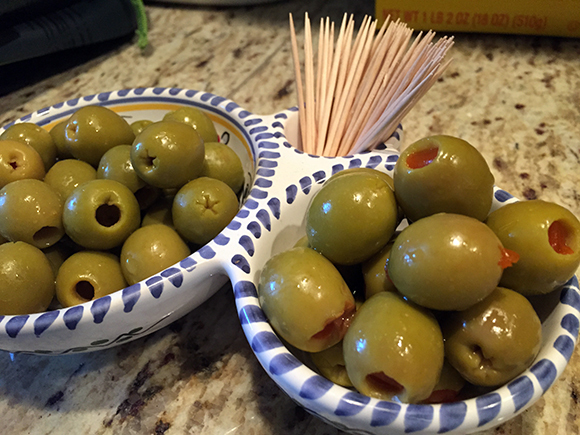 Spanish olives are a flavorful, versatile, novel, sophisticated and nutritious. There is a longstanding history and tradition of olive production in Spain, which is now being combined with the most advanced technology available. This guarantees the highest possible levels of food safety and quality. 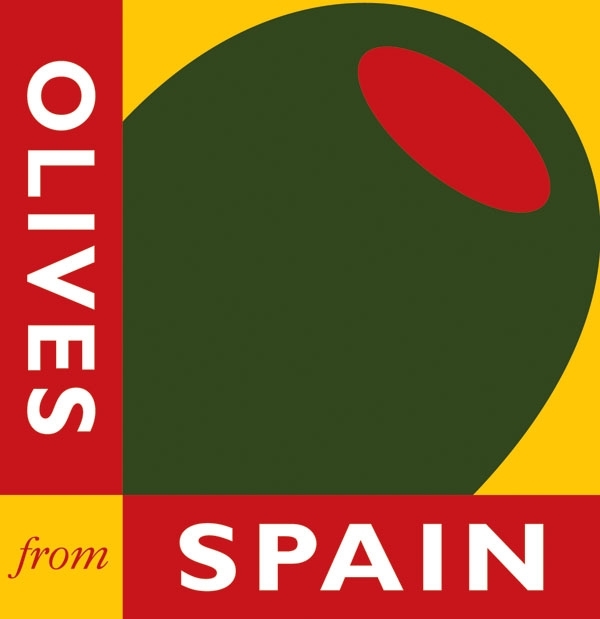 Furthermore, Spain is a world leader in the production and exportation of table olives, which demonstrates its expertise and ongoing adaptation to the tastes and needs of consumers worldwide. But instead I decided to do something a little different and create a fun appetizer (easy, too!) 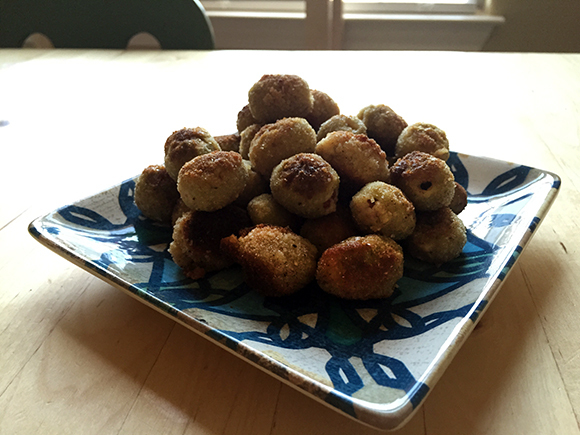 – fried olives. Yep, you heard that right. Fried. This is a great way to still let the flavor of the olives shine through while giving an added crunch. Simply dip olives in a mixture of 1 egg and 1 tablespoon of milk, then toss them in bread crumbs with salt, pepper, and thyme. Fry in a thin layer of olive oil over medium heat, turning the olives to get them golden brown on all sides. So easy! Strider Bikes are the Perfect First Bike for Your Little One! Note: We received a Strider bike to facilitate this review. 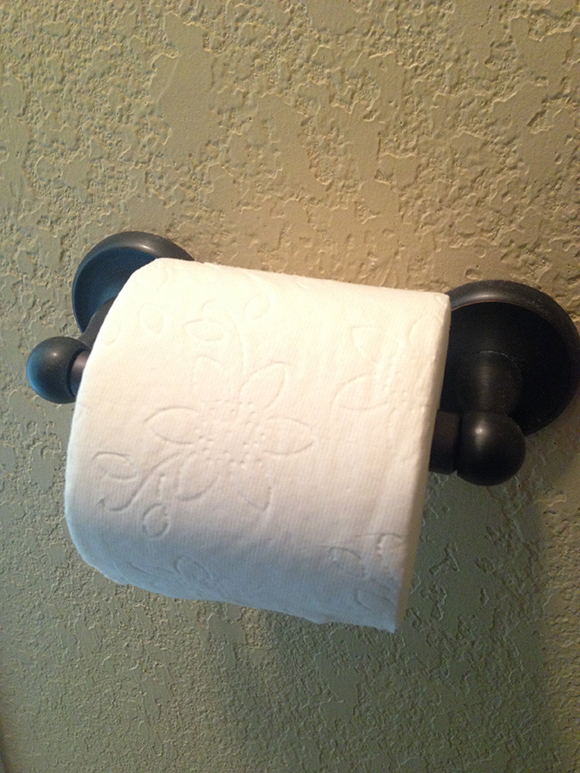 I was not compensated monetarily for this post; all opinions are honest and are our own. We have a 5- and 7-year-old that love riding their bikes, and they have a little sister who’s two and thinks she needs to do everything her big brothers do. Because of this, Brian and I have been thinking about getting E her own first bike for quite a while now. With both of the boys, they had a hand-me-down little bike with training wheels, but Brian and I have wanted – for years, literally – to get a balance bike for the kids to try. With E being at the age she is, a Strider balance bike is the perfect fit. But even though the bike will be for E, we plan to let our five-year-old use it too so he can gain a sense of balance and confidence to learn to ride his other bike without training wheels. 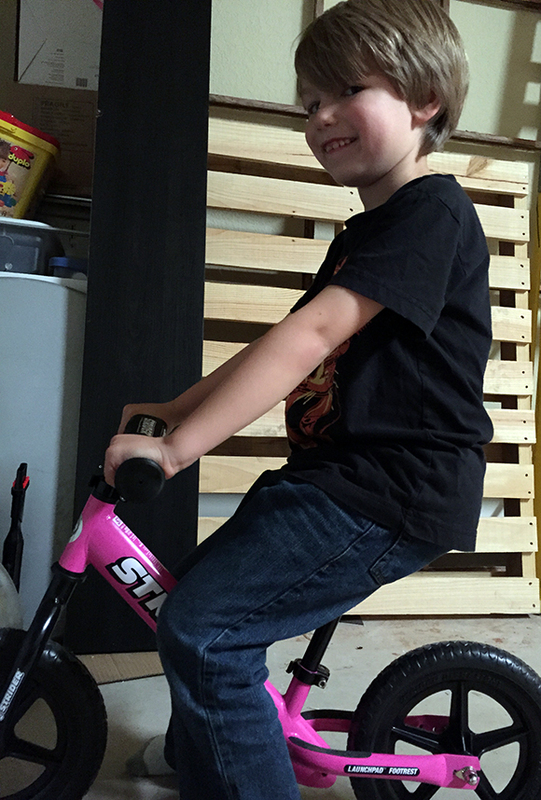 That’s right – our five year old can use the bike that we’re giving to our two year old. 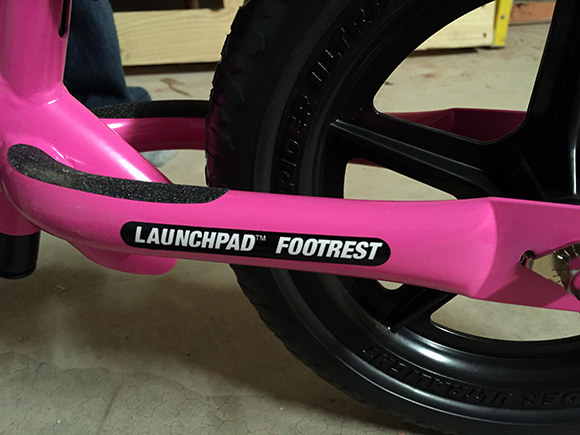 Unique, frame-integrated footrests are properly positioned directly below the saddle for natural bike balance. This position also fosters the advanced ability to stand while gliding. As I mentioned before, the seat height is incredibly easy to adjust. 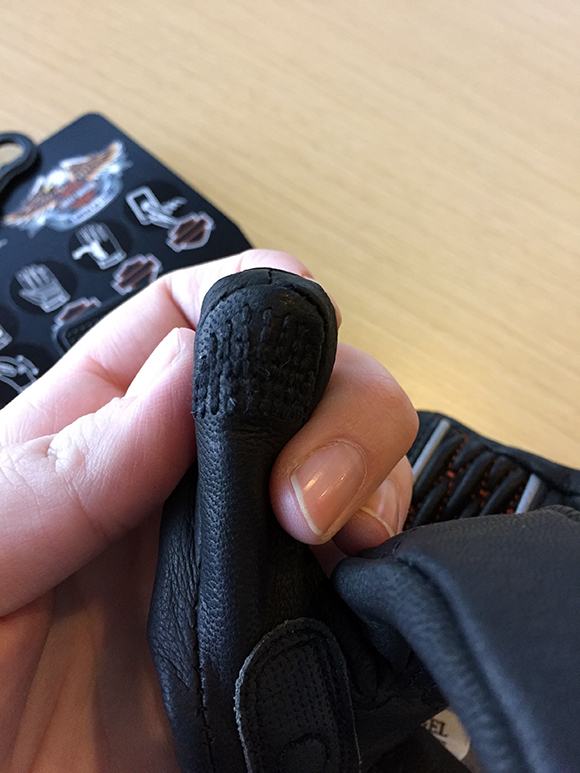 The durable, all-weather mini-saddle is designed specifically for beginning riders and their tiny hips. 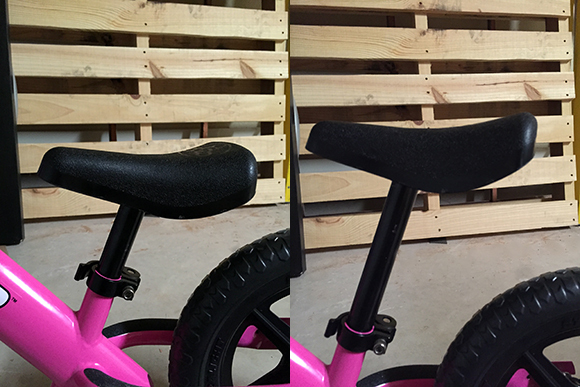 The Sport model, which we received, also includes a padded XL saddle and long seatpost to fit kids over 3 years and allows seat height adjustments up to 48cm (19”). The bike is high quality, which makes me feel good since I know it will get a lot of wear over the years. I love the story behind Strider bikes, too. Ryan McFarland created the first Strider bike after seeing his young son struggle with propelling the weight of a standard bike. I have a lot of respect for products created by parents for kids, because parents understand best what kids really need. 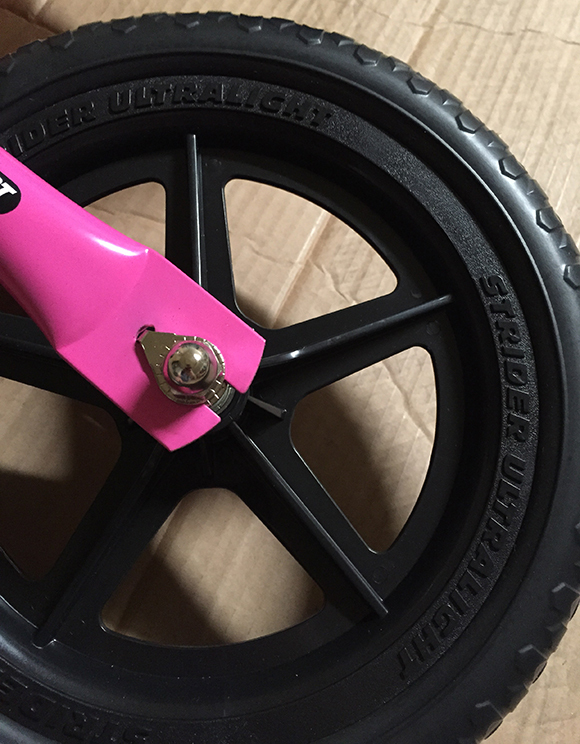 We can’t wait to give E her Strider bike, and if you’d love to give your little one a first bike, head over to check out the options here. Strider also offers larger bikes for older kids, and even a bike for teens and adults learning to ride (ideal for special needs riders, as well). Note: This post is part of the HEALTHY ESSENTIALS® 2014 program by Johnson & Johnson Consumer Companies, Inc. and The Motherhood, who sent me a box of products and compensated me for my time. Opinions, experiences and photos shared here are all my own, and I hope you enjoy them. Third party trademarks used herein are trademarks of their respective owners. With the holidays right around the corner, the likelihood is good that you’ll be hosting company sometime soon. 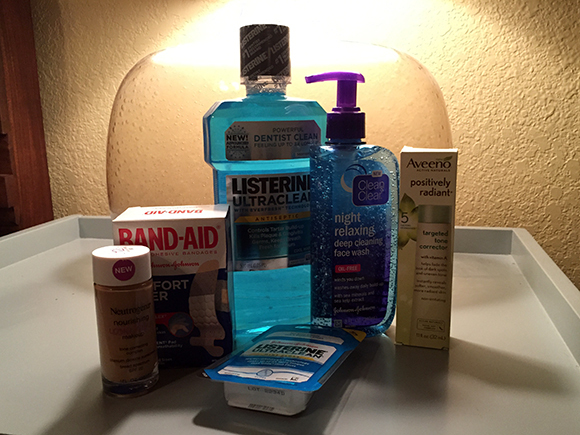 One of my favorite things to do when I’m preparing for guests staying with us is to stock up on any toiletries they might need. I set them out in a basket in the guest bathroom, and they’re able to have access to anything they might have forgotten. NEUTROGENA® Healthy Skin® Liquid Makeup, http://www.neutrogena.com/ – Silky-light coverage glides on for a perfectly natural look, while the exclusive blend plus Broad Spectrum SPF 20 work together to visibly improve skin’s luminosity, tone and texture. CLEAN & CLEAR® Night Relaxing Deep Cleaning Face Wash, http://www.cleanandclear.com/ – With deep sea minerals and sea kelp extract, this purifying cleanser cleans deep to effectively wash away daily build-up – like dirt, oil and impurities deep in pores. So effective, this foaming cleanser even washes away dirt and oil you can’t see while calming aromas help wind you down – leaving you clean and relaxed. Oil-free. Won’t clog pores. Won’t over dry. AVEENO® POSITIVELY RADIANT® Targeted Tone Corrector, http://www.aveeno.com/ – Helps reduce the look of stubborn dark spots, discolorations, and uneven tone to improve skin’s radiance in just 2 weeks. It is oil free, noncomedogenic and nonirritating. LISTERINE® ULTRACLEAN® Dental Floss, http://www.listerine.com/products/ultraclean-floss – Shred-resistant dental floss stretches, flexes and slides easily between teeth. MICRO-GROOVES® Technology removes 2x more plaque than Glide® Mint Floss. LISTERINE® ULTRACLEAN™ Mouthwash, http://www.listerine.com/products/ultraclean-cool-mint-antiseptic-mouthwash – The only leading mouthwash with an anti-tartar ingredient and new EVERFRESH™ Technology for a dentist clean feeling that lasts up to three times longer vs. brushing alone. Has the clinically proven plaque and germ-killing power of LISTERINE® Antiseptic. BAND-AID® Brand Adhesive Bandages, http://www.band-aid.com/ – America’s #1 bandage brand covers all your wound-protection needs. BAND-AID® Brand Adhesive Bandages have covered and protected cuts and scrapes for millions of people over 90 years. JOHNSON’S® NO MORE TANGLES® Detangling Spray, http://www.johnsonsbaby.com/ – Works to instantly unlock knots and tangles in wet or dry hair. Easy detangling and manageability. Gentle NO MORE TEARS® formula. 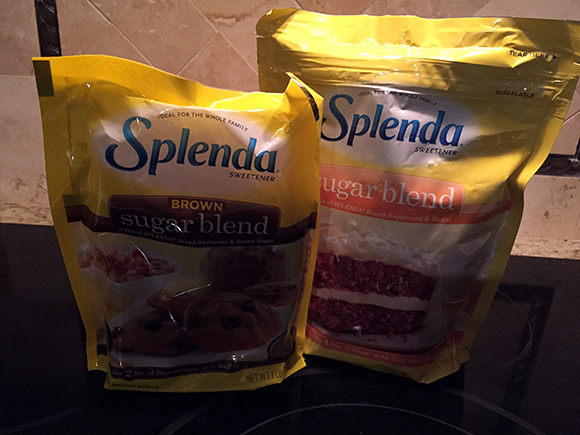 You can also find coupons for Splenda, which is perfect for holiday baking if you’d like to have less sugar in your final products! Be sure and head over to HealthyEssentials.com now to get started saving right away!